A scary meme from the Rainbow warriors. As usual, I wanted to check the veracity of the statement. It’s verified (in a roundabout way) by the Guardian. The Guardian article is mainly about the lack of live births in Japan–the country fell below a million last year. But they also pointed at the fact that the death rate has been accelerating for the past five years. If the death rate is accelerating due to a reason other than geriatrics, no one is looking into it. Per Doctor Helen Caldicott’s speech in this video, the most insidious issue about nuclear power (and the industry’s greatest ally) is the fact that the many cancers that will result from the Fukushima accident will take several years to manifest themselves. We’re three years and nine months from the accident, a point when the most aggressive cancers will begin taking their toll. Second, one could make a case (if one were prone to conspiracy theories) that the drop-off in live births is a side effect of Fukushima. Women in Japan may be reluctant to bring a new life into the world if they fear health problems. There are already reports that doctors are covering up thyroid cancers in children, and the Government has passed censorship laws making dissemination of non-approved information about Fukushima illegal. Not sure what can be done about the unfolding disaster in Japan. 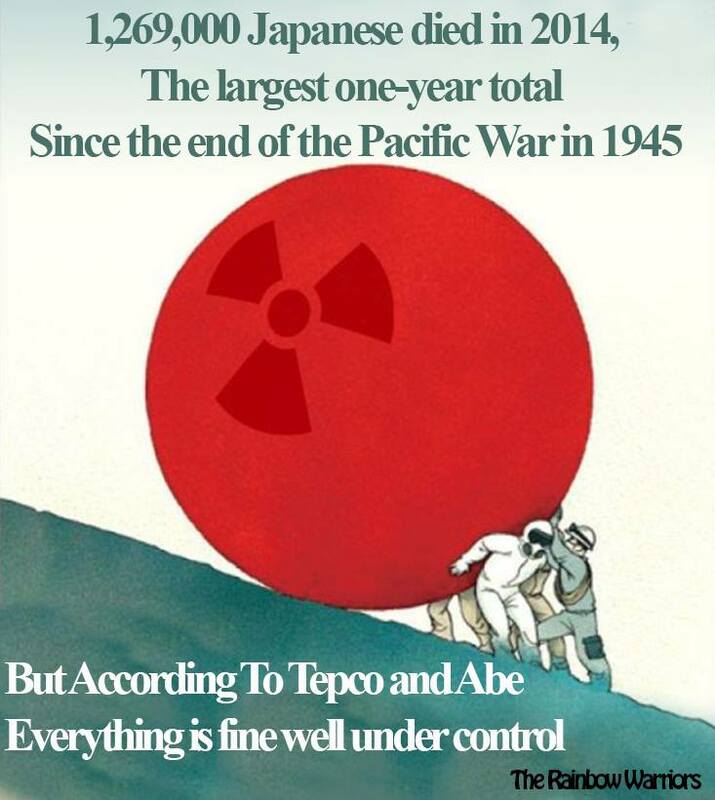 Under the Law of the Sea treaty, Russia and China could take the Japanese to court over Tepco dumping some 300 tons of radioactive water into the Pacific every day. But Law of the Sea is one of the many treaties the US refuses to join for reasons having to do with the business interests of the donors to US Senate campaigns. Being an effective conspiracy theorist (if there is such a thing) requires that one try to put the pieces together from both word-of-mouth and legitimate media. It’s somewhat reminiscent of an anecdote told by Noam Chomsky about visiting the former USSR–when he stayed with Russians during the Soviet era, he was taken aback about their level of knowledge about contemporary subjects, even though their only source of information was Pravda. One of his hosts explained that the reading of Pravda was as much about what was not said as what was said. That’s where we are right now. ← Hurry up with 2014 already!